As there is no airport on Koh Tao, the island is reached by boat either from the mainland or from the neighbouring islands Koh Samui/Koh Phangan. But you can go with Bangkok airways to Koh Samui from Bangkok, Hong Kong, Singapore, Kuala Lumpur, Phuket and Krabi. From Bangkok to Chumphon you can fly with Nok Air, www.nokair.com, (cheap airline) from the old airport,Don Muang. From Bangkok to Surat Thani you can fly with Air Asia (cheap airlinr) from the old airport (Don Muang). 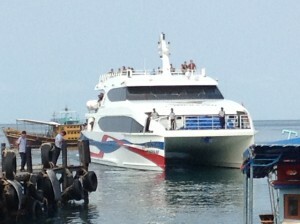 At www.airasia.com you can book your trip incl ferry all the way to the Koh Tao. 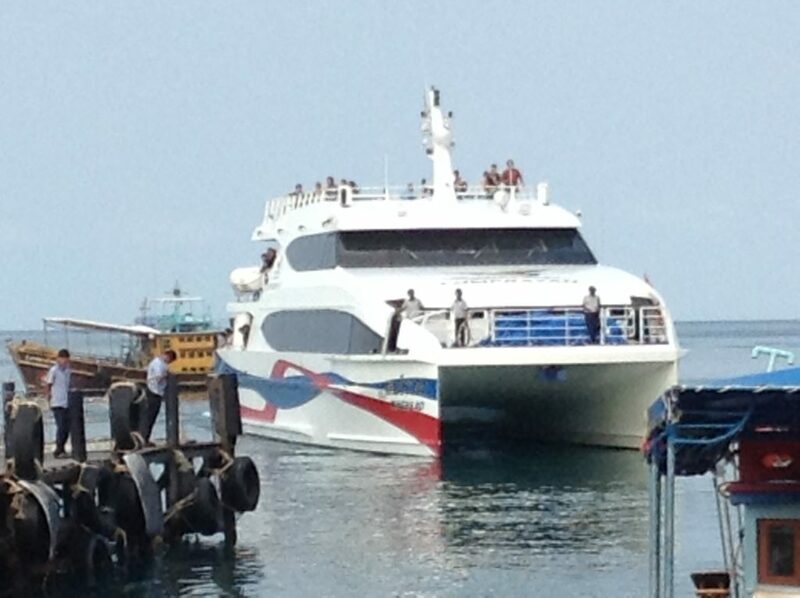 There are several companies operating ferry services to Koh Tao. For updated information about the time tables, prices, ferry types and travel lenghts please click on the links below. These ferrys can be booked online minimum 3 days before departure. to Chumporn and Surat Thani. The above airlines also offer online Flight-&-Ferry packages. From Bangkok (Suvarnabhumi Airport) Bangkok Airways and Thai Airways fly to Koh Samui. bus/mini-bus/car transfers from Bangkok (and many other travel hubs in Thailand) directly to Koh Tao. Other options are by train or minibus.